Ala Kahakai Trail is one of the more magnificent and scenic Hawaii hikes that follows the coastline paths of ancient Hawaiians. This historically and culturally significant trail was established as a National Historic Trail in 2000 to preserve native Hawaiian culture and natural resources. The trail has been in continuous use since Polynesians first arrived on Hawaii Island more than 1500 years ago, connecting communities of an ancient civilization. Interesting archaeological treasures, artifacts, fishponds and remains of ancient dwellings can be found all along the Ala Kahakai National Historic Trail. The trail more or less follows the coastline for 175 miles (282 kilometers) from 'Upolu Point (northernmost point of the Big Island), along the entire west coast to Ka Lae (South Point), then northeast up to Waha'ula Heiau at Puna. Ala loa is the Hawaiian term for a long coastal trail around an island. Kahakai means shoreline. Ala Kahakai is the name originally given to the section of the ala loa trail from 'Upolu Point to Kailua, then later used as the name for the entire 175 mile National Historic Trail. The Ala Kahakai corridor combines remnants of the ancient (pre-1778 contact with westerners) ala loa trail, with historic (1778-1892) trails that developed along the same routes following contact with westerners, as well as more recent trails or roadways that create links between the surviving ancient and historic trails. The entire Ala Kahakai Trail is comprised of short segments of many Big Island trails, crossing through public as well as private land. 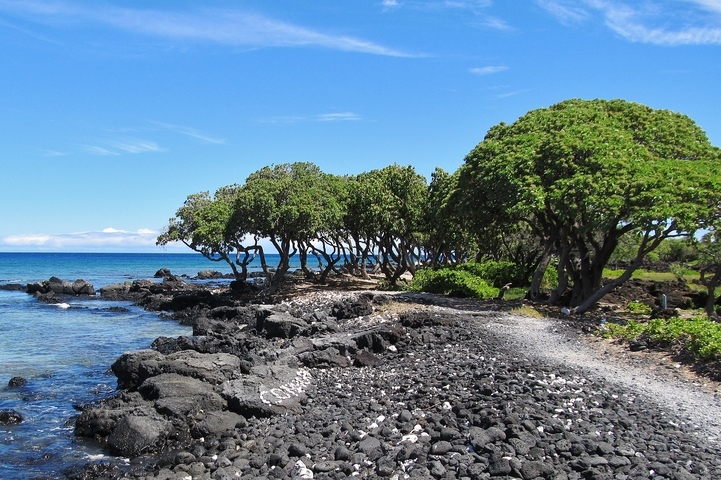 Shoreline access points lead to sections of trail connecting some of the best Big Island Hawaii beaches, particularly along the west coast. 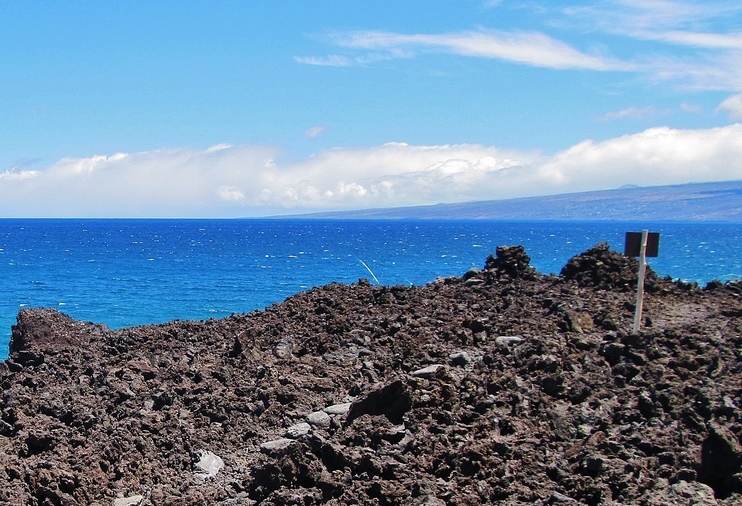 The trail along the Kona-Kohala coast is particularly breathtaking. Notice how vivid the ocean appears as you stand directly above the coast, with the turquoise shallows extending out toward the deeper blue depths. The dazzling clarity of the water is mesmerizing as the shoreline drops abruptly into the ocean along the black lava cliffs. Waves create interesting patterns as they find their way through the many beautiful inlets and coves. We frequently see dolphins in the distance, and even humpback whales. The exact location of portions of Ala Kahakai remains a mystery, hidden by time. Some of the best hiking begins north of Kona near the Honokohau small boat harbor. Kaloko-Honokohau National Historical Park is a great starting point and one of our favorite areas to explore. The hiking is relatively easy through here, with an abundance of interesting historical and natural features to enjoy. Several miles north of Kaloko-Honokohau is Kekaha Kai State Park. The trail runs behind Mahai'ula Beach and across a half-mile of lava to splendid Makalawena Beach, then continues north along a rough stretch of road toward Kua Bay – Manini’owali Beach. To hike north from Kua Bay, pick up the rocky trail that more or less follows the shoreline, over lava rocks and coral to Kikaua Beach. 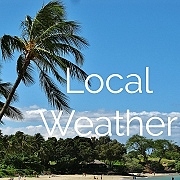 It is possible to continue along the shoreline north of Kikaua, across Kukio Beach to Ka’upulehu Beach and Kahuwai Bay fronting the Four Seasons Resort. There are shoreline access trails through the Hualalai Resort to Kikaua Beach, Kukio Beach, and north at the Four Seasons Resort. Four miles north of the Hualalai Resort is stunning Kiholo Bay. You will find relatively easy hiking and fun exploring here, in an area of unparalleled scenic beauty. Jumping north five miles to Anaeho'omalu Bay (A-Bay) in the Waikoloa Resort area, another popular stretch of the Ala Kahakai trail snakes across roughly 15-miles of coastline to Spencer Beach near Kawaihae. Numerous access points linking the beaches make it possible to enjoy shorter hikes along this section. The hike from Anaeho'omalu Beach in front of the Marriott Hotel north to the Hilton is splendid, an easy and mostly smooth trail with gorgeous scenery that is well worth exploring. This also provides a nice perspective of all there is to see and do at the Hilton resort. Just past the lagoons on the north side of the Hilton the trail climbs up alongside the golf course. The large statue of Buddha makes a nice turnaround point. If you continue past the golf course, the trail becomes more difficult for the next couple of miles as it climbs through massive piles of sharp a'a lava. There is much evidence of the ancient settlements and fishing trails through here. There is a brief respite from the sharp lava when you reach Honoka'ope Bay, the southernmost point of the Mauna Lani Resort area. The trail passes behind Honoka'ope Beach, a small and scenic gray/black sand beach that is also called 49 Black Sand Beach. Continuing north from Honoka'ope Bay, the trail is again sharp and rugged. Around the bend on the north side of Honoka'ope Bay, the trail is nicely improved as it passes in front of the Francis H. I'i Brown Golf Course at Mauna Lani Point, into the beautiful beach at Makaiwa Bay. The trail remains easy all the way north past the Mauna Lani Bay Hotel to the Fairmont Orchid and beyond, with scads of interesting fishponds, anchialine pools, and historical remnants throughout. 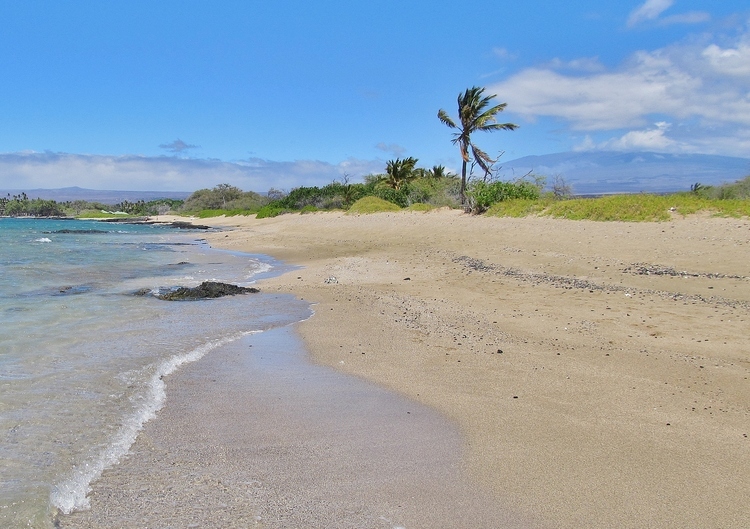 Jumping north, between Hapuna Beach and Spencer Beach is another delightful and very manageable hike of less than three miles, crossing Mauna Kea Beach and Mau’umae Beach along the way. 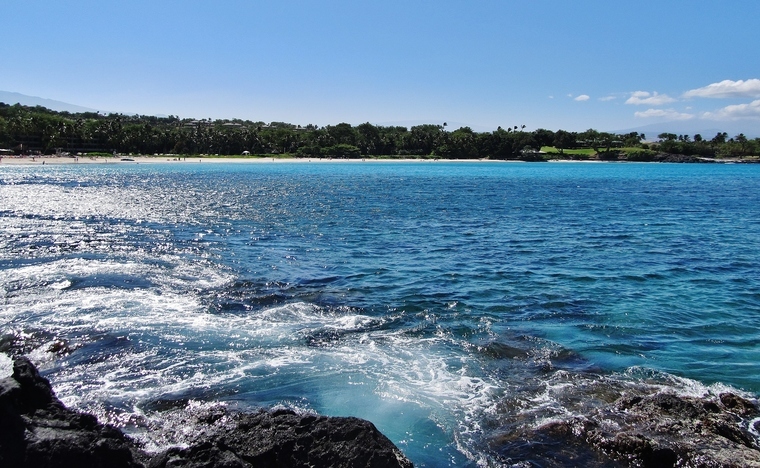 We highly recommend at least walking the short section linking Mauna Kea Beach and Hapuna Beach. This is a wonderful shoreline trail with dramatic ocean views, less than a mile between the beaches. Take your time, pick a section of trail, and start exploring! This pristine shoreline with stunning views and widely varying terrain makes the Ala Kahakai Trail a favorite Hawaii hike. Not sure where to go? Join our private Ala Kahakai trail hiking tour to experience some of the most scenic and easily accessible sections of this historic coastal trail.